Some homeowners like to have their cleaning service provider also do some laundry. This task is usually quoted as an additional charge. This is a guide about how much to charge for cleaning and laundry. How much should I charge to clean & do 3 to 4 loads of laundry? I get $50.00 now. I sometimes work 6 to 7 hours on the home. I think it depends on where you live. I have one friend who charges around $10/hr to clean and another friend in another area who charges around $25/room or so but does a visit to the home to do an estimate before naming the price. 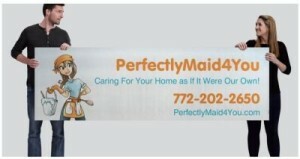 If I were you I would call several home cleaners in your area and pretend you are getting estimates from them. That way you can see if you are getting a fair price. I live in Sonona County, Calif. My neighbor cleans houses and she charges 15.00 per hr. She charges extra for laundry, windows and cleaning the fridge or stove. I hope this helps. She said she tells her clients that she is the cleaning person, not the maid. I get $150.00 for cleaning a 4 bedroom 2 bath house with 4 loads of laundry. I also do the beds each cleaning. I am the owner of a cleaning business in south Florida, we charge differently for deep cleans (anywhere from $200- $300 depending on the size of the home) and recurring cleans (anywhere from $105-$150). I used to charge by the hour, but people tend to add services on to what was originally agreed upon. I have made a Terms and Policies letter that I give to ALL my new clients and have them read and sign it...it states any and all charges for extra add on...not specifically what the charge is, but that there will be add charges for such things and all inside/outside windows, baseboards, laundry, etc. It sounds like all of you are working for free! I charge 35 to 50 an hour, didn't matter were you live, having your home cleaned is a luxury, you don't try and fit the price for them. I never work more than 4 hours. Cleaning companies charge 45 usually and pay the workers ten an hours. When you do it yourself you need to charge the same but your keeping all 165 fornthe house. Please stop low balling your self. I charge at least $25 an hour for regular cleaning and I charge $35 if it includes laundry. You are letting this people off way too cheap. For the most part I give a set price to clean a house and make it clear anything outside of the scope of work agreed upon will be extra. 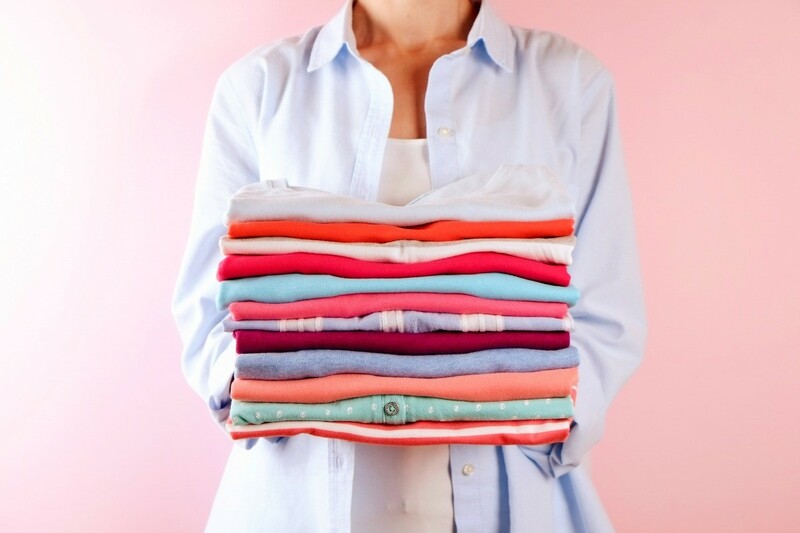 How much should you charge per load for folding only? Every city is different...so if I tell you the Pittsburgh cost....which is up to 2 dollars a pound, and you are in California you would be way under charging...or if you were in a poorer area, the Pittsburgh rate might price you way out of the market. The other question is are you going to be doing this as part of cleaning a house or doing the laundry? That is a whole different pricing structure...the latter, again, being calculated by the pound, while the cleaning is usually and hourly range that includes a variety of services. I am assuming that you are cleaning someone's home and folding laundry is part of the job. Cleaning people in my area charge by the job. They know how many hours it will take them to do that job, and what they charge by the hour. You may want to investigate what other people are charging for similar services in your area, so that you do not under or over-price yourself. 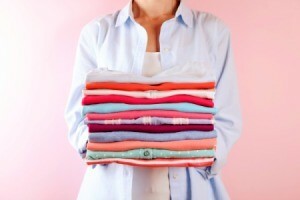 Are you only folding laundry or doing any other cleaning services for the person? Will you be doing something like a hourly rate with a minimum of x amount of hours. Example: $10 a hour, minimum 3 hours so you'd have to do a lot of loads for them and fold to make it worth your gas too? How much do I charge for 2-3 loads of laundry weekly? Are you doing this as part of cleaning someone's house as where I am that matters and you should not add that much extra to do laundry because you toss it in when you get there and work on the rest of the house while it is washing. If this is not part of a housecleaning event, then in high end parts of town people charge up to $3.00 a pound. This is specific to western PA, places like California, NY and TX I am sure it is way more than that! Pittsburgh is moderate to low in pricing for most services. See what your local laundromats that have this service charge and that will give you what people in your area are willing to pay. You will have to add money for pick up and delivery. That depends on where you live also and can range from $5 to $10 a trip. 1. Are you doing laundry only? Or do you also clean the house or is the laundry going to be apart of the service? 2. Are you doing laundry at their place? Your place? Or at a laundromat? If it is not at the place then you would have to factor in gas + time. 3. Do you have to fold the clothes? How long does it take you? Factor in time as well. If you are doing this apart of cleaning service, you would run the laundry then clean, and come back to fold. Laundry is usually charged by the pound. The dollar amount is determined by where you live. Visit some laundromats and see what they charge. If you are picking up and delivering laundry charge at least $10 extra. What is the cost per hour for cleaning a house and doing the laundry? I cleaned house for many years. I charged $30 and hour at the time I retired. This is a high cost of living, high income area. I was well known and had more work than I could take. Your reputation will be what allows you to raise your rates. In lower income areas the rate can be as low as $10 an hour. Keep in mind that the nature of the work only allows you to work for about 5 hours a day. It is a very concentrated workout. I never worked more than 4 days a week.